Edit Facebook's Look Back videos so they have the stuff you want in them. Now you can tailor the schmaltz that comes after this blue screen. 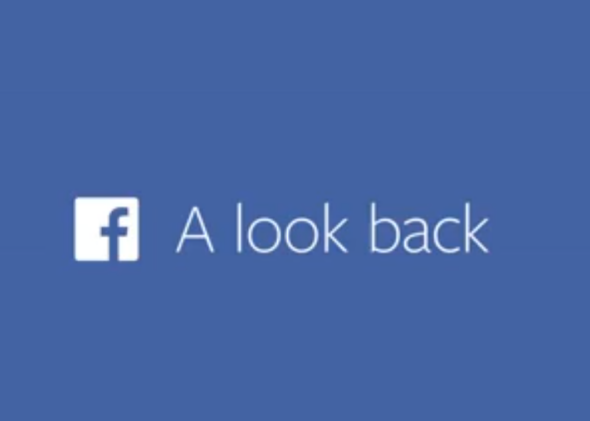 In honor of its 10th birthday, Facebook released an automatic video generator called “Look Back” that pulls popular photos and statuses from a user’s Facebook history and turns them into a sentimental puddle that’s ripe for sharing. But even people who like the intense sentimentality have been complaining about the videos because they’re bad. The algorithms behind the service have their digital hearts in the right place but definitely make mistakes. So Facebook added an edit button today. The edit button can’t solve all of these problems, but it can help. It doesn’t actually give you full access to all of your photos or posts and instead provides a sampling to pick from. So for the first-moments issue, I can’t really change anything because none of the photos it offers me are actually old. I guess it would involve too much data processing and load time to make our entire histories available in the video editor, though this seems incongruous since we can scroll back through all of our posts and videos anytime we want. As TechCrunch reported, Facebook had been planning to release Look Back with an editing feature all along, but the tool wasn’t complete by the anniversary, so Look Back launched without it. There may be fewer limitations at some point if the edit feature is further improved, and the choices that are currently there certainly offer better ability to tailor our online personas so we look maximally fun, popular, cool, etc. The edit button signals that we haven’t seen the last of automated Facebook videos incorporating our content. Since extensive development went into the product, Facebook may keep it around in modified forms for things like year-end retrospectives. Facebook already customizes “Year in Review” content roundups for each user, and the company may be trying to compete with Google Plus’ Auto Awesome feature, which created short, custom slideshows for each active user at the end of 2013. Depending on your view, this is either companies’ appeals to our love of saccharine reminiscence or a not-so-subtle reminder that they hold data we’re emotionally attached to.